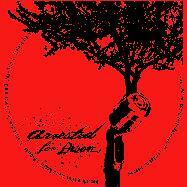 Arrested For Arson - Arrested For Arson - Recording EDGe/RecEDGe Records Coming Soon To iTunes. Available on iTunes, eMusic, Rhapsody and more! Arrested for Arson started out as a 3 piece punk rock band in highschool with Benj, Josh, and Jeremy. After high school they moved to Washingon, in attempt to become part of the growing Seattle music scene, shortly after their drummer and friend, Josh, moved back to Montana to better support his family. Benj and Jeremy started looking for a new drummer, but no one seemed to fit. While in Washington Jeremy's sister and now Benj's wife started singing with the band of two. Six or so months before moving back to the mother land (Montana) the two guys met Paul while playing with him at church. He seemed to be able to fill Josh's shoes just fine (they were roughly the same size) unfortunatly the band already had plans to move back home. Strangely enough Paul's soon to been wife at the time (current wife now) was planning on attending MSU in the same town... And so the band was made.